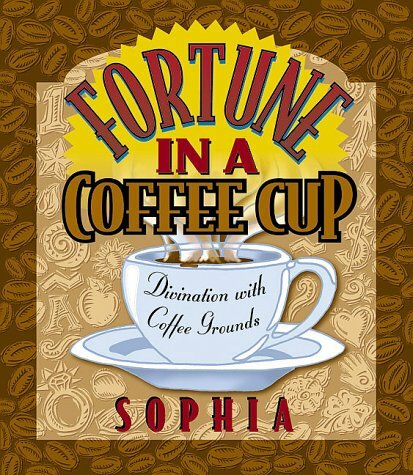 Now you can learn the ancient method of fortunetelling that’s ideally suited to today’s espresso-charged world with Sophia’s Fortune in a Coffee Cup. This 1000-year-old system is clearly explained, from how to prepare the cup, the coffee, and yourself; to the meanings of the symbols you’ll see in the grounds; to samples of readings so you can see how it is done. Besides the ritual of cleansing the cup, blessing the coffee, and clearing your mind, you may wonder how the grounds get into the cup. Most of the filters used in making coffee today limit the amount of grounds that actually get through the brewing process. The answer is surprisingly simple. When only a small amount of coffee is left in the cup, add an extra spoonful of grounds. The book explains how this is done. You will discover how to find the images and interpret them. For example, you’ll learn that seeing a bicycle means you are on the right path to obtain your goals and an ice cream cone shows you are in the position of helping a child. Put it together and you have a simple system of divination that is powerful and still fun to use. Get your copy today.